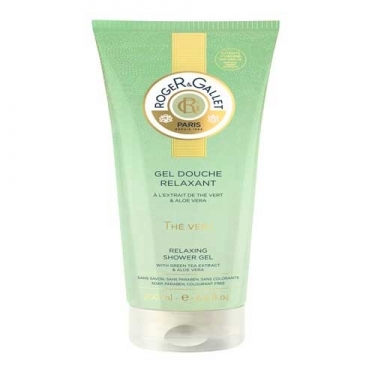 DESCRIPTION: Thé Vert Gel Douche Relaxant from Roger & Gallet is a perfumed and relaxing shower gel. Rich and unctuous, it gently cleans and respects the skin's natural balance while softening, toning, and restoring its elasticity. Sulfates free.